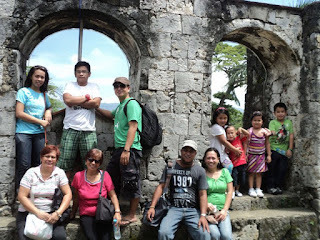 My Dream Summer Trip: An Ilocos Adventure | To Be, To Be. Tutubi. I love traveling, but unfortunately, I am always limited by my budget and can only really almost always, do a budget trip. i wait for seat sales and plan my travels ahead of time. I try my best to have one travel for me and my husband, one with my kids, and sometimes, one with the whole family, extended and all. Despite the budget constraints, I always make the most of it, and end up having a fabulous time! It is really up to you to make it a wonderful experience. But if I have a dream summer trip, it is one where I can bring my whole family: me and my husband and 3 kids, my sister, her husband and 2 kids, and my mom, my mom-in-law and younger sister Kris, to an Ilocos Adventure. Ilocos has everything for everyone: food(need I enurmerate, hahaha), beach(Saud and Pagudpud), history(Vigan), man made wonders(windmills) and nature tripping! My mother in law is from Ilocos, and she will gladly take us around. The only thing stopping us from doing this, other time taking time off from work, is the budget. It's not easy to budget for 12 people, excluding the driver, for food and lodging and other travel expenses. While my mom in law has relatives in Ilocos, I wouldnt feel right about imposing on them for more than a night! But we are planning this for next year, and hopefully, we will be able to pull this off! 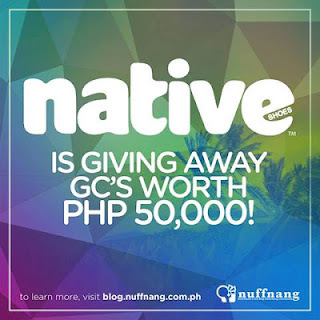 Oh and by the way, Native Shoes is giving away P50,000 worth of GCs!!! !